Stay tuned for upcoming events for One World One Food in near future. 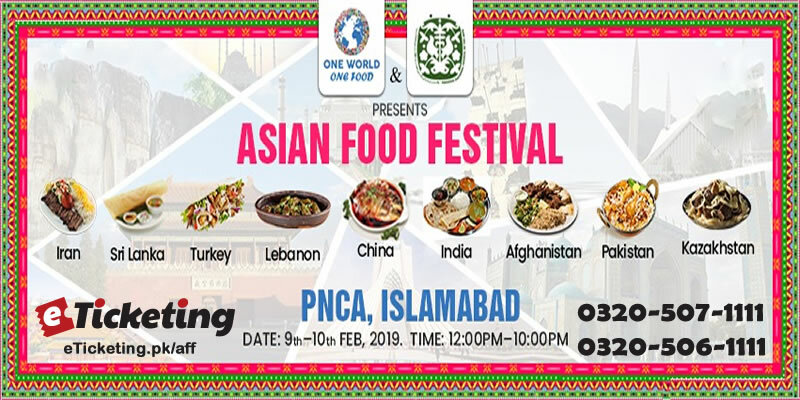 "One World–One Food" is an Asian Food Festival where we are celebrating cultural harmony and coexistence through food, history, arts, culture, and music/performances under one roof from different Asian countries. There will be live stations/ stalls of participating countries where you can enjoy their traditional food. One World is organizing "One World–One Food" to continue its legacy of promoting cultural harmony and tradition of hi-mark ventures and events to bring history, arts, culture, food, at one place from different Asian countries. One World is organizing mega events and exhibitions in Islamabad since 2014. In May 2017, a three-day event, “One World – The Cultural Diplomacy” was held at PNCA, Islamabad. In this event, over 10,000 participants, delegates, guests, and embassies representatives participated in many colorful activities. “Tour Asia” was organized in Arts and Craft Village in Dec 2017 to promote cultural collaborations among Asian countries. Also, in June 2018, “Ramzan Night Bazaar” was organized at PNCA to promote cultural and peaceful co-existence. This time, let's buckle up for the mega Asian food festival, One World-One Food that satisfies your taste buds with the cuisines from 10 Asian countries. Best Viewed at 1024 x 768 pixels and above. This Page loaded in 0.09094 seconds on Tue, Apr 23, 2019 (21:52).